References that insult Indian culture, tradition, sects, thoughts, eminent personalities and offer wrong explanations must be removed from textbooks at all levels, recommends the RSS-affiliated Shiksha Sanskriti Utthan Nyas (SSUN) to the Ministry of Human Resource Development (MHRD). In its recommendations to the MHRD for a new education policy, SSUN suggested that English should not be mandatory at any level of education. The mother should be the medium of instruction from elementary to higher levels in schools and no foreign language be offered as an alternative to any Indian language at the school level, reports The Indian Express. The recommendation adds that the research work must be linked to "national requirements" and all those projects which do not fulfill the condition should not get UGC scholarships. It has also made some other recommendations like no foreign language be offered as an alternative to any Indian language at the school level. According to the report, an email on 14 October by an MHRD official to the SSUN acknowledges that "suggestions given by you have been noted down. They will be discussed during the formation of the new education policy". SSUN has also asked the government to "immediately provide facilities to introduce education in Indian languages in English-medium institutions like IIT, IIM and NIT", and "take legal action" against schools that discourage students from speaking in their mother tongue. "He said we will certainly consider your suggestions. 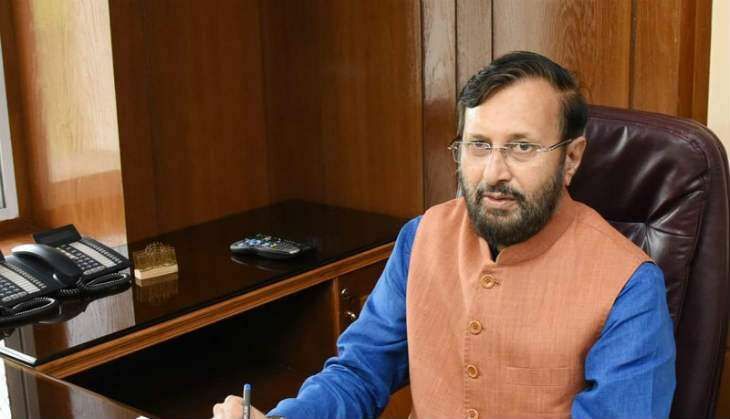 He also appreciated many suggestions," SSUN founder and secretary Atul Kothari was quoted by Express after he met education minister Prakash Javadekar. Kothari is a veteran RSS pracharak.